Put differently, it is particularly essential to create and develop a market environment promoting investments for nuclear power and renewable energies—given the desirability of their increased use—although the ratios of their fixed costs are high. Nor can adequate investment returns be expected in a wholesale power trading market where prices are determined on the basis of variable costs. This is Keidanren’s first proposal on power policy since Chairman and CEO Hiroaki Nakanishi of Hitachi, Ltd. assumed its leadership in May of last year. At a press conference in the afternoon of April 8, Nakanishi stressed the need to take swift action to establish a mechanism to spark investments in electric power. Keidanren will boost its approaches to related parties based on the proposal. In its proposal, Keidanren describes the domestic situation in which investments in electric power are stagnating critically, including the slow development of power generation and transmission facilities. That trend is taking place against the backdrop of greater competition resulting from the full deregulation of the domestic retail power market in April 2016. 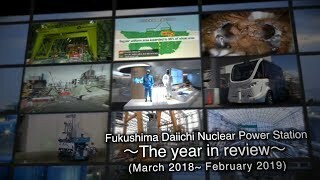 Other factors include delays in restarting the country’s nuclear power plants (NPPs) after the Fukushima Daiichi accident of March 2011, as well as concerns about the declining demand for system power. If nothing is done, the report says that not only will efforts be insufficient toward the 3D’s, but also toward the 3E’s+S. Ordinary people and industry would also increasingly feel adverse effects mounting. To ensure continuing investments in electric power, the proposal emphasizes the need for the national government to outline a future scenario for Japan’s electric power system. It says that is important to lay out dual-track scenarios in the next Strategic Energy Plan, which will be the sixth issued, for 2030 and thereafter. It also stresses the desirability of securing a foundation for electric power demand through quantitatively expanding the economy. As for renewable energies, the report describes the urgent need to fundamentally revise the feed-in-tariff (FIT) approach. For the portion requiring continued political subsidies, however, it recommends that it may be more useful to utilize a feed-in-premium (FIP) system. In any case, there is an urgent need to create an electric power market in Japan that is independent of subsidies as soon as possible. 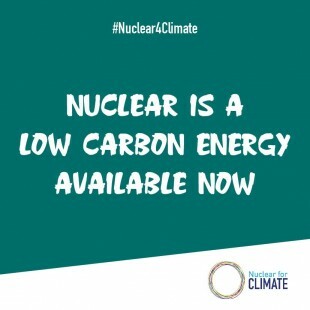 Recognizing nuclear power as an essential energy source for zero-carbon emissions, the proposal emphasizes the necessity to restart the country’s existing NPPs promptly. Noting that the government’s policy is to replace older NPPs and construct new ones, the proposal also stresses the need for predictability in the business.